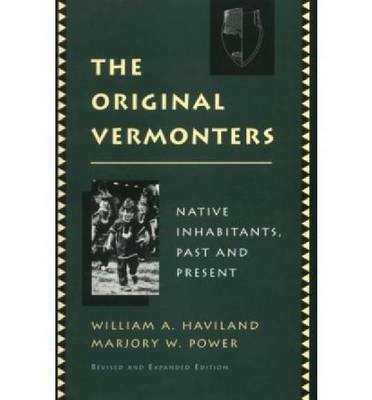 An extraordinarily fine book about the entire time range of Native American presence in Vermont . . . Those interested in studying Northeastern Indians (past and present) and the Vermont Abenaki themselves should be delighted with this publication.-- "American Indian Culture and Research Journal"
"Utilizing archaeological site reports, unpublished manuscripts, and previous scholarly publications, Haviland and Power present an informative sociohistorical analysis of the Native American story in northern New England . . . This work serves to challenge and correct many misconceptions." -- "Choice"
"Although it is a book whose scholarship will stand up, it is written for the general reader . . . The result is a story--clear, informative, and moving easily-- . . . a pleasant book which I have read with relish." --Gordon M. Day "Vermont History"
"A refreshing synthesis by competent scholars . . . An excellent starting point for serious and intelligent nonprofessionals, and a bench mark against which future progress will be measured." --Dean R. Snow "Ethnohistory"